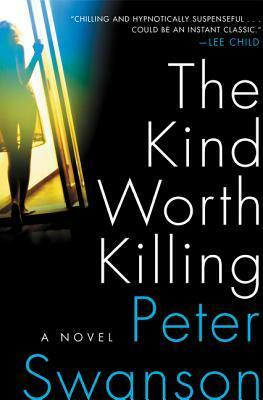 The Kind Worth Killing by Peter Swanson is a thriller which is worth your time and money. Full of twists and turns,this 400+page work is a genuine page turner. Ted,Miranda and Lily are the principal characters.Ted is upset that his wife Miranda is cheating on him.He meets Lily while waiting for his flight in Heathrow airport. Lily offers him help.They hatch a plan to kill Miranda. But Miranda has other plans for Ted. I particularly liked the characterization of Lily.The manner in which Lily's past life is revealed is truly riveting.The writing is taut and thrilling.The Chapters alternate between Ted and Lily's perspectives and believe me, the shift in perspectives is not done in an irritating manner. For those of you who are still wondering the origin behind the title of this work,here it is- Lily says at one point , "Truthfully, I don't think murder is necessarily as bad as people make it out to be. Everyone dies. What difference does it make if a few bad apples get pushed along a little sooner than God intended? And your wife, for example, seems like the kind worth killing." On the whole,I am giving 3.5 out of 5 for this novel.